There's no denying it, I am a foundation fanatic. 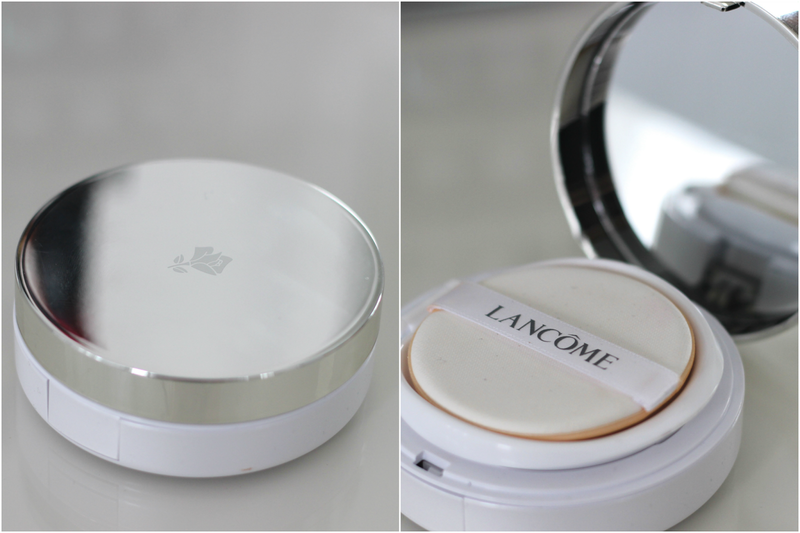 The newest addition to my evergrowing foundation drawer is Lancome's newest foundation, the Miracle Cushion. The cushion foundations have been very popular in Asian countries for a few years but it's brand new to us in the western world. But what is a cushion foundation? 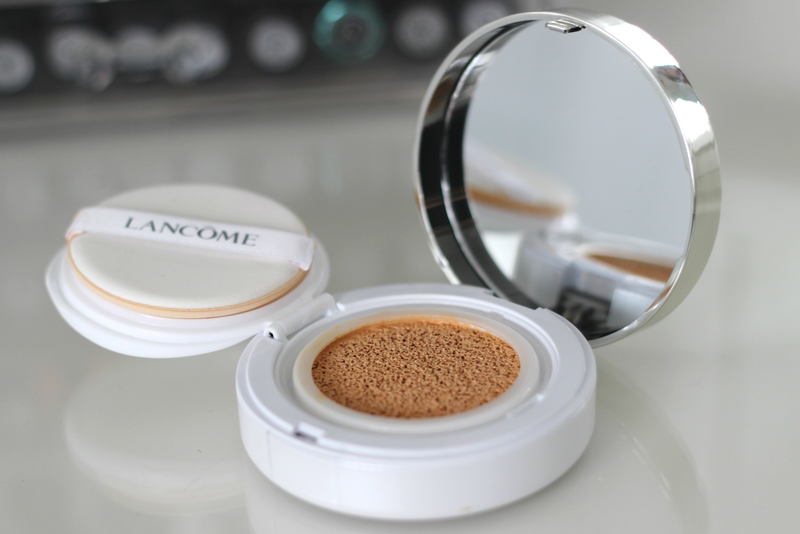 It's a liquid foundation in a compact, in that compact there is a sponge (or a cushion!) that keeps the foundation fresh and from spilling everywhere. Very clever and very handy on the go! I am going to keep this review as short and snappy as I can, so let me start off by saying - I love this foundation. 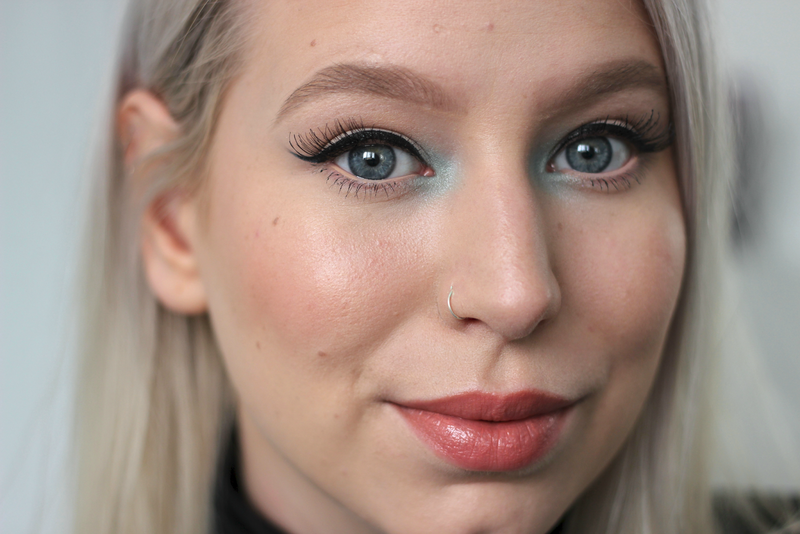 It has a light (but buildable) coverage and it has a lovely dewy finish. I don't have terrible skin but it's not perfect at all, uneven with open pores and all that good stuff. The Miracle Cushion simply evens out my skin tone and leaves my skin looking natural and glowy. After it sets it doesn't feel sticky so I don't feel the need to powder my entire face (I do always powder where I conceal - under the eyes and down my t-zone). It lasts very well on my skin and it stays in place for a good 7-8 hours (I do have combo skin so I do get a little oily around my t-zone but I kinda like that). The sponge provided for application is quite nice but I like to use a buffing brush (Sigma F80 has been my weapon of choice). I've got it in the shade 01 Porcelaine which is the lightest shade, it matches me perfectly (which is a rare find for me). //Ég neita því ekki að ég er alveg sjúk í farða. Nýjasta viðbótin í sístækkandi farða skúffunni minni er nýjasti farðinn frá Lancome, Miracle Cushion*. Cushion farðar hafa verið mjög vinsælir í Asíulöndunum í nokkur ár en eru glænýjir hér í vestræna heiminum. En hvað er cushion farði? Blautur farði í boxi, í boxinu er svampur (cushion) sem heldur farðanum ferskum og passar að hann hellist ekki út um allt. Mjög sniðugt og frábært þegar maður er á ferðinni! Ég ætla að hafa þessa umfjöllun sem stysta svo ég byrja einfaldlega á því að segja - ég elska þennan farða. Hann hefur létta (en hægt að byggja upp) þekju og fallega ljómandi áferð. Ég er ekki með hræðilega húð en hún er alls ekkert fullkomin, ójöfn með opnum svitaholum og öll þau skemmtilegheit. Miracle Cushion farðinn jafnar út húðlitinn og skilur húðina eftir náttúrulega og ljómandi. Þegar farðinn hefur sest á húðinni er hann ekki blautur og klístraður svo mér finnst ég ekki þurfa að púðra allt andlitið (ég púðra þó alltaf þar sem ég nota hyljara - undir augunum og niður t-svæðið). Farðinn endist mjög vel á minni húð, góðir 7-8 tímar (ég er með blandaða húð svo ég fæ smávegis glans á t-svæðið, en mér finnst það bara fallegt). Það fylgir svampur með til að bera farðann á, hann er ágætis svampur en mér finnst best að nota buffing bursta (Sigma F80 verður oftast fyrir valinu). Ég nota litinn 01 Porcelaine sem er ljósasti liturinn og hann passar mér fullkomnlega (sem gerist alls ekki oft). Eins og ég sagði áðan, þá er ég alveg fallin fyrir þessum farða - elskulega YSL BB kremið mitt er komin með keppinaut. Mér finnst hann frábær hversdagsi farði, með SPF 23/PA++ sólarvörn og ótrúlega léttur á húðinni. 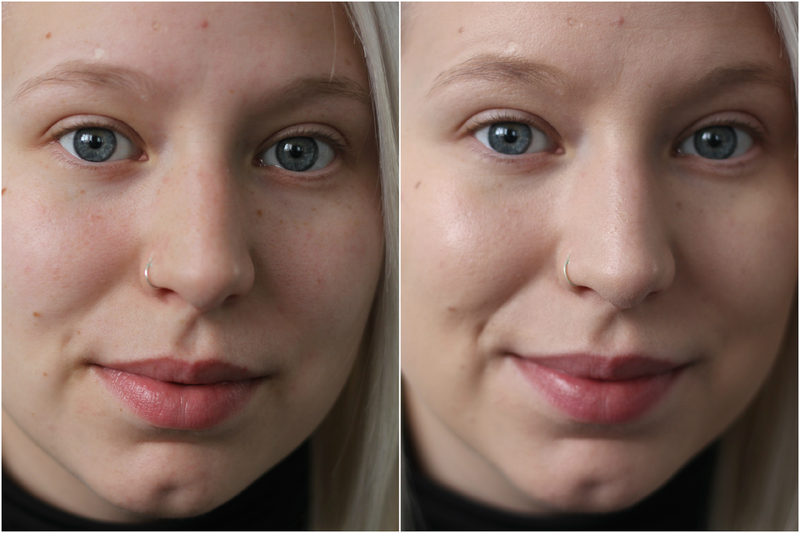 Lancome Miracle Cushion hentar best þurri til blandaðri húð og kemur í 6 litum (Lancome mætti bæta fleiri litum við!) Frábær farði sem allir ættu að prófa! Ohhh, this is such a great review, Elin! This sounds like something that I would appreciate, thanks! I've been looking for a review of this product for a while I'm glad you've written about it! My skin isn't too great so I'm not sure this coverage would be right for me but makes you like you've been blessed with perfect skin- it's so natural looking.